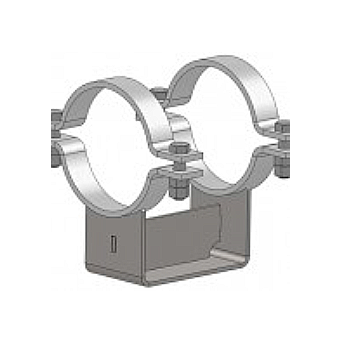 Shorter and narrower design to the BG515 pipe shoe. Designed to support a vertical load only. Client to supply dimension ‘L’. (Base Plate to Centre of Pipe). Vertical adjustment achieved by adjusting nut. 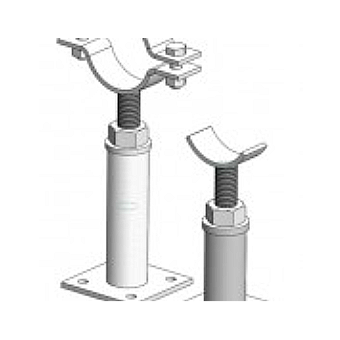 When the required height is achieved, the nut is to be tack welded to pipe cap. Not suitable for supporting pipes with axial or lateral movement or for pipe sizes above 600NB. 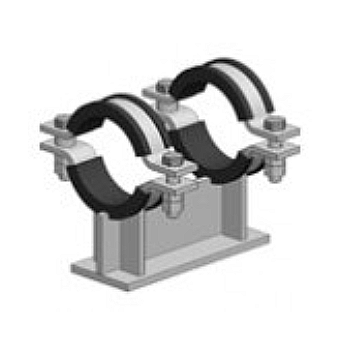 This BG156 Insulated Pipe Shoe uses the BG140 pipe clamp. Dimension ‘H’ is 100mm. From underside of pipe shoe to bottom of pipe. Insulator profile has self extinguishing fire retardants and is suitable for hydrocarbon installations such as oil and gas.